"Mom, do you think they can hurry up and finish building our house?" 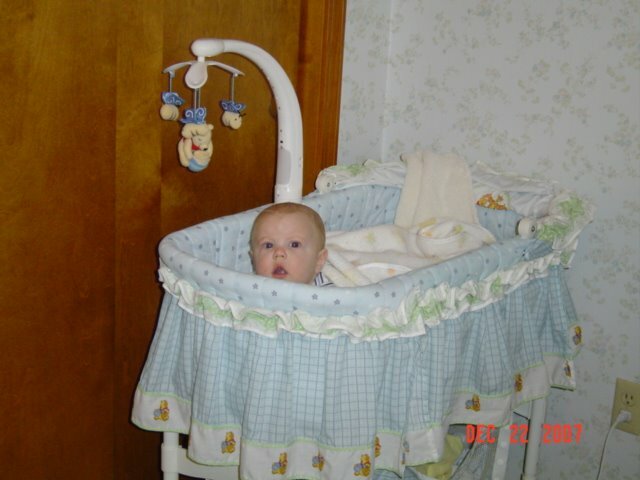 "I'm REALLY getting too big for my bassinet!" We ended up getting to move into our new home about a week and a half after this picture was taken. Not soon enough for poor Gauge who was cramped in his bassinet, sleeping in the same room as mom and dad where he had to listen to us snore! LOL!